While some would claim that Apple laptops are the most powerful device in the industry, not all consumers are charmed with its closed ecosystem. While there is a number of Windows 8 laptops that can compete with the MacBook Air’s specs, these laptops are quite few and spaced apart. 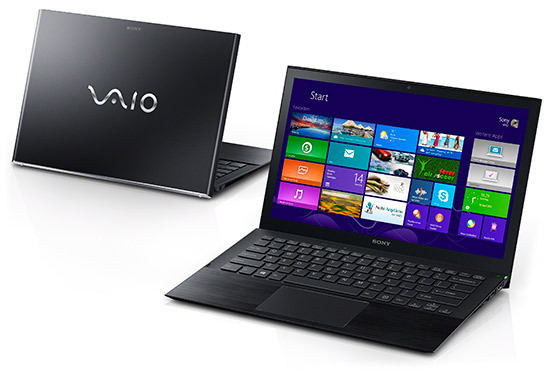 The most recent release of the Japan-based company Sony is a very good ultrabook—the Sony Vaio Pro 13 Touch. It comes with a very powerful processor, is lightweight, and delivers a stunning performance. If you want to know about this device, read the review that follows. The first thing that you will like about this device the first time you lay your hand on it is that it is exceedingly light, weighing only 2.4lbs. It houses a superfast fourth-generation Intel Core i5/i7 processor that provides you with excellent every day performance. 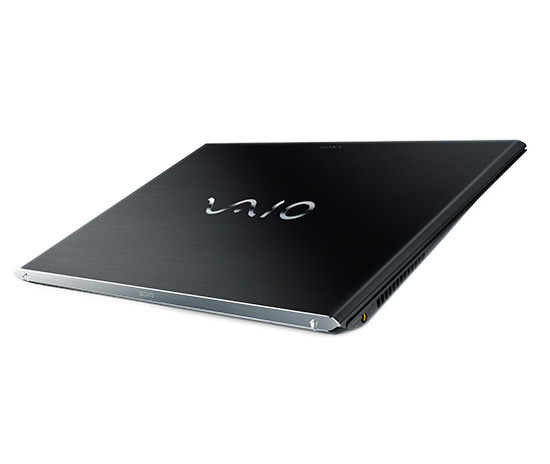 In addition, the Sony Vaio Pro 13 has a long battery life and a stunning 13.3” 1080p touchscreen. It also has a reasonable price. Just like any other gadget, however, this laptop also has its share of shortcomings. For example, this device comes with a non-removable battery. Thus, you still need to purchase an external battery if you want to extend the use of your laptop without charging. The Sony Vaio Pro 13 also has a limited number of ports and connection, has a maxed out memory of 8GB, and possesses a mere integrated graphics. At the end of the day, the Sony Vaio Pro 13 Touch is still an ultraportable laptop that has an excellent performance that can rival even that of Apple gadgets. When it comes to design and build, the Sony Vaio Pro 13 is definitely something to write home about. It is very lightweight, weighing only 2.34lbs and if you include the power supply, it weighs a maximum of 2.9lbs. It is 12.7” in width, 8.5” in depth and 0.68” in thickness. The backlit keys of this device are widely spaced and large enough to facilitate easy and accurate typing. Meanwhile, the clickpad is responsive and has good multi-touch support. With regard to the display specs, this laptop sports a 13” LCD Triluminos Display for Mobile technology. The screen has a native resolution of 1920 x 1080p and uses the IPS technology. In addition, the screen has wide viewing angles, and provides users with crisp texts and vibrant colors. There is a 1MP Webcam above the screen that utilizes the Exmor R backside-illuminated CMOS sensor. Unfortunately, the Sony Vaio Pro 13 sports a few ports and connections. It has two USB 3.0 ports, an SD card slot, an HDMI port, and a mic/headphone jack. Connectivity options include Wi-Fi, Bluetooth 4.0, NFC, and Intel Wireless Display. This laptop is powered by a fourth-gen 1.5GHz Intel Core i7-4550U processor coupled with 8GB of DDR3 1,600MHz memory. 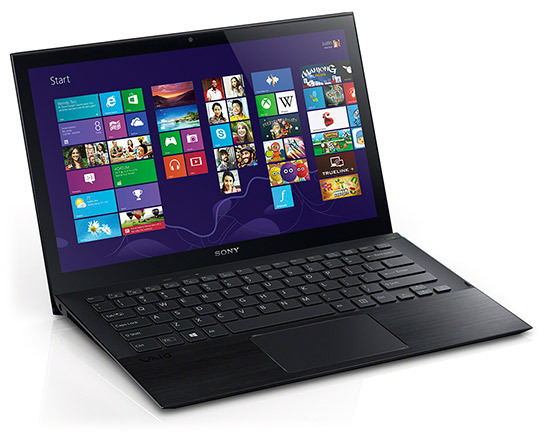 It also comes with a 512GB PCIe solid-state drive and an integrated Intel HD 5000 graphics. The Vaio Pro 13 runs on Windows 8 Pro. If you are looking for more inexpensive model, you can have a Core i5 processor that comes with 4GB of RAM and a 128GB SSD for $1250. Battery life provides you with good news. While it was not able to top the 14 hours and 25 minutes achieved by the MacBook Air, it was able to last 8 hours and 53 minutes in the videos playback battery drain test. Should you purchase this device? If you are looking for an excellent Windows 8 experience, a long battery life and an excellent device for your every day usage, then the Sony Vaio Pro 13 is the perfect laptop for you. It is a good enough substitute to the MacBook Air. Has phone hardware run out of steam?